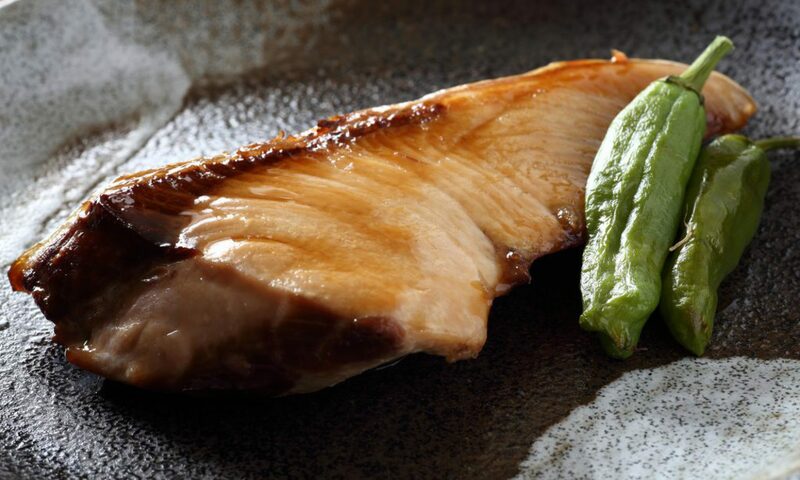 The color of fish meat is considered the key factor for judging it’s freshness. 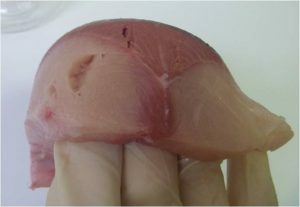 It is important to know that the appearance of fish can be misleading and freshness can be affected by various factors. Shoku En approaches the question of freshness scientifically. K-value is a tool unique to the Japanese perishable food industry for measuring the freshness of meat. The lower the K-value, the fresher the product. 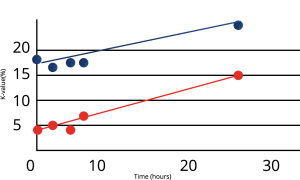 When comparing a third-party’s analysis of Shoku En’s non-carbon monoxide (non-CO) treated product and a competitor’s CO-treated product, Shoku En’s product maintains lower K-values over the life of the product. Applying CO damages the texture and the grain of meat. 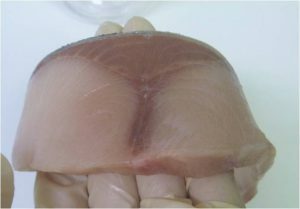 This analysis clearly shows that not only are Shoku En Buri fresher than products where CO is applied, but they are safer and higher in quality. *Samples are frozen immediately after processing and thawed after three months. Visual inspection of 0.4” thick slice thawed products: 6 hours after unpacked and stored for 6 hours at 39F. (Stored for 1 month at -13F). Because CO gas damages the cells in meat, CO applied products have been confirmed to have less elasticity and more rupture in meat.